Bed and Breakfast in Central Edinburgh recommended in Alastair Sawday's www.specialplacestostay.com Two Double bedrooms with private bathrooms. Prices from £100 per night including breakfast. 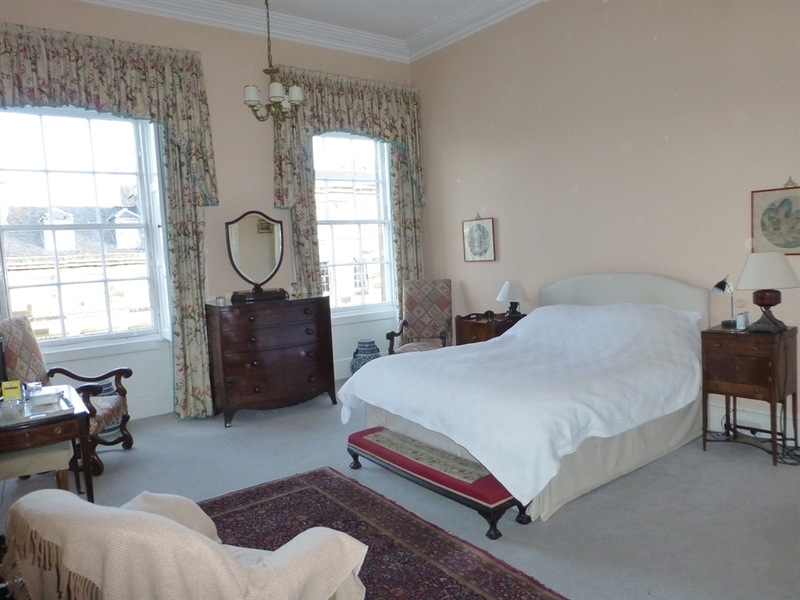 We have two large double bedrooms each with a private bathroom. Prices are from £100 per room per night. 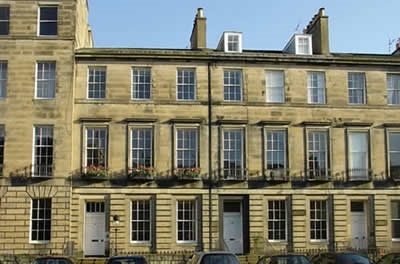 Stay in the historic Georgian New Town, a Unesco site since 1995, in a beautiful Georgian house ten minutes walk from Prince's Street. Quiet but close to theatres, cinemas, restaurants, cafes and shops. The buzzing Stockbridge market on a Sunday morning is just below and the footpaths along the Water of Leith next to the market are there to explore either down to the sea or up to the Pentland Hills. Feel at ease in the sense of space both in this private house and in the City of Edinburgh where walking is the best and easiest way to explore. Both private and public galleries are free to visit, as are the Botanical Gardens, not far from the house. Enjoy an unhurried breakfast before starting your day.